"Do you ever see any dead bodies down there?" "Yeah, I've never kayaked in or around that river up there in north Texas, I'd rather not paddle through 'sewer ditches.'" "That used to be called the 'River of Death!'" When I am in my hometown of Dallas or conversing with outdoor enthusiasts around the state, these are the sort of remarks I often hear when mentioning the Trinity - the longest river located entirely within the state of Texas. However, most of those statements are really the last thoughts that come to my mind as I continue to enjoy, research and attempt to understand this mysterious and enormous waterway. Quite frankly, the river has changed a lot since many of our parents' time, and in many ways, for the better. 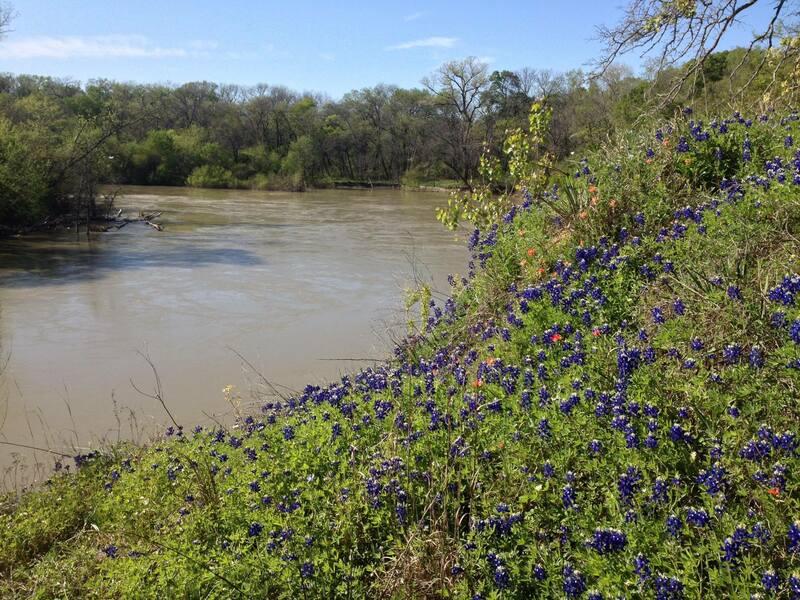 Over the past five years, I have spent considerable time on endeavors pertaining to the Trinity River and they have served as the absolute foundation for my current undergraduate studies at Texas State University in San Marcos. Prior to recognizing this mighty stream that cuts through my hometown and the countryside that raised me, I had no idea that many long-sought, personal questions about the entire landscape, history, urban footprint and geography of the DFW metroplex could be answered by looking at one thing: the Trinity River itself. Why did all these big cities in the U.S.’s largest inland metropolitan area get established here? Why does this part of town flood so badly during storms? And, where does the lake water and creek in my east Dallas neighborhood go? As seen from aerial imagery or a plane ride arriving or departing from DFW International Airport, the Trinity River serves as the geographic backbone of both the metroplex and a significant slice of the state between northern Texas and Houston. But what many people do not realize is that it serves as a major economic artery to the region's lifeline, supplying a ton of water to a ton of urban people. In fact, chances are that if you currently reside in Texas, you probably drink water from the Trinity River and you probably live within its massive 18,000 square mile basin (considering solely land area, that's roughly twice the size of Maryland!). Almost half of the water needs in Texas are fulfilled by diversions and reservoirs built on the Trinity, and its massive basin is now home to over 8 million residents. The river, its lakes and many linking creeks also provide tremendous resources for some of North America's most fascinating wildlife and myriad species. It provides for some of the best outdoor recreation opportunities in the state. Some parts of the river bottom south of Dallas and beyond contain bits and pieces of ancient, old growth forests that never saw the axe for timber production or bulldozers for development . These areas now serve as living museums, educating current and incoming generations of Texans on their natural heritage. Some of these old bottomland hardwoods creep right up to the edge of the metroplex, as seen in Dallas' Great Trinity Forest - one of the largest urban forests in the entire country. Bottomland hardwoods like those found in the Trinity Forest are some of the most biologically productive ecosystems on land, conducive to promoting fantastic game populations and thriving plant communities. They are also some of the most threatened ecosystems in the nation. Large, continuous, undeveloped habitat; the sort of criteria relied on by beavers, bobcats, cougars, owls, foxes, wintering bald eagles and more, all of which can be seen in rare and occasional instances on outings to the Trinity. Other parts of the Trinity's basin contain extensive wetlands, oxbow lakes, slow-moving swamps, countless habitat for migrating birds using the vital Central Flyway, and even one of the last unspoiled peat bogs in the state. Even though many of these iconic features of the riverscape extend right up into and past the busy highway blues and honking cars of the DFW metroplex, most of the half-million drivers that cross the Trinity daily over Interstates 45, 35, 30 and 20 in Dallas do not see even a glimpse of the river for what it really is. 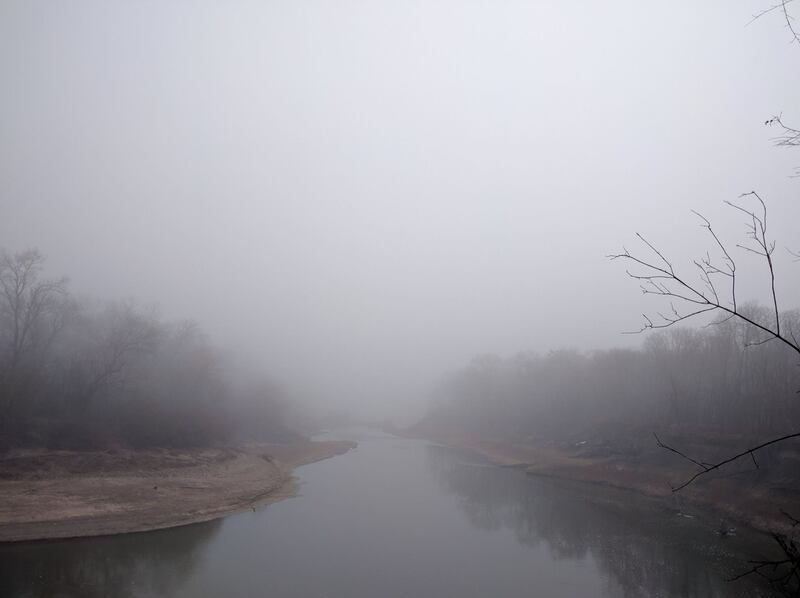 Most notably, what travelers and commuters do see of the Trinity on the heavily trafficked I-35 and I-30 is only a small section of manmade river-channel: the old Dallas Floodway Project, a product of the city's unfettered urbanization dating back to the 1950s. It is definitely an unnatural sight, one which many city leaders and philanthropists would like to see a "rewilding" of and turned into a much prettier and restored urban parkland. But on any given day, just underneath some of the aforementioned, massive interstate bridges there may be a playful river otter splashing upstream of beaver lodges, kingfishers flying out of muddy river-bank nesting tunnels before performing kamikaze dives into the thick Trinity waters to catch swimming prey, and, as the river churns up long lost sediments, a reemergence of artifacts of Dallas' earliest human inhabitants. Contrary to many views and contemporary writings on the cities of north Texas, and especially Dallas, such ancient human artifacts are abundant throughout the Trinity River basin. D Magazine's Laray Polk defies the ongoing narrative that Dallas was a city founded on “nothing;” following the footsteps, remains and histories of human lives and evidence that date well past our early European pioneers who hunted the wildlife, worked the land and found the clean water resources that had sustained the Native Americans in this prairie region for over 13,000 years. Such water resources were vital in the establishments of many of our cities, some of which still bear the names of the seminal natural springs and creeks, whether they remain there today or not. I encourage anyone who has yet to and is willing to witness the awes of the Trinity to come out and experience its many inspiring virtues. Get out of your comfort zone. Come and see why our great cities along the Trinity were established here long ago. And perhaps you too can join in efforts to conserve, enjoy, better understand and protect our vital river resource. It is certainly the only one we have; and, in a climate where these resources and histories are more threatened than ever, the challenge maywell be worth it. Alexander Neal is our 2018-18 Trinity Waters Intern and will graduate from Texas State University Class of '18 with a B.S. in Geography-Resources & Environmental Studies and a Minor in Nature, Heritage & Tourism. 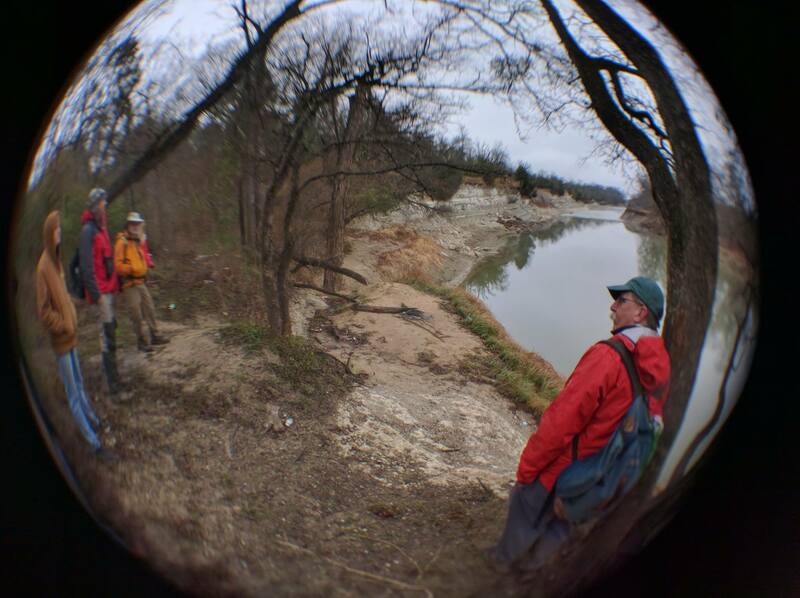 Alexander has been exploring the Trinity River and the creeks, tributaries and trails that make up its watershed in a kayak, on foot or bicycle as far back as he can remember. His extraordinary knowledge of the Trinity is driven by his extraordinary passion and appreciation for natural resources and the Trinity River.